Click here to search for articles in back-issue of Big Carp Magazine. 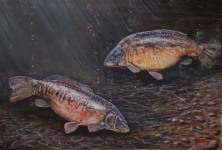 Big Carp Magazine has commissioned a series of water colour paintings to record forever our famous carp fishing history. There will be 1 painting every month, numbered and signed by the artist. Mary and Mary’s mate the icons of the great Wraysbury complex........ 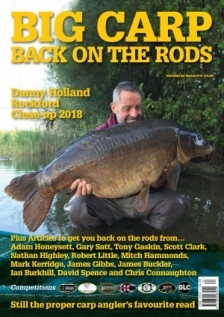 The British record in the arms of Terry Hearn and the brace which Sir Pete posed so wonderfully with on the back of his legends book are but two off the many captures which have earnt these two awesome creatures their place in the Big Carp Magazine legends hall of fame. Available now for only £25. UK - £8 recorded delivery & tube. Europe - £12 recorded delivery & tube. ROW - £15 recorded delivery & tube.